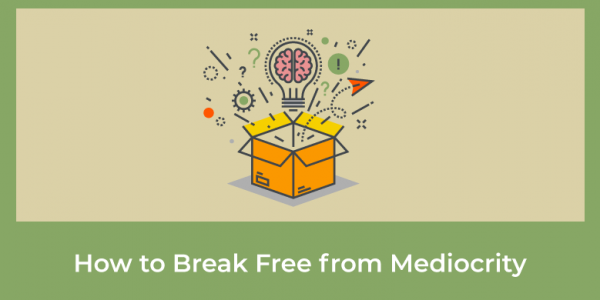 You’re about to discover four psychological traps that can keep you in mediocrity in all aspects of your life, your business, your health, and your relationships. Now, it’s true there are a lot of technical skill sets to learn regarding ads and marketing—and that’s important, no doubt. But sometimes you need to take a step back and listen to what’s going on between your ears. Because what’s going on inside can sometimes be more important than what’s going on outside when it comes to creating results. And all too often it’s our psychological barriers, and not our technical competency, that can sabotage success. So keep reading to learn all about the four psychological traps that will keep you stuck in mediocrity, and not achieving your greatness. First & foremost, your greatness will depend on you. I’m about to share with you, the four psychological traps that can keep you in mediocrity and away from your greatness. Here at EMP, you’re listening to some amazing mentors and coaches. OR, it could be something very, very simple in your business that you do every day that starts to give you results. Or, we’re not against the wall spiritually. Ultimately, they go through life and they’re not a pilot. Then I strongly encourage you to sign up for my FREE 10-Day Online Recruiting Bootcamp.